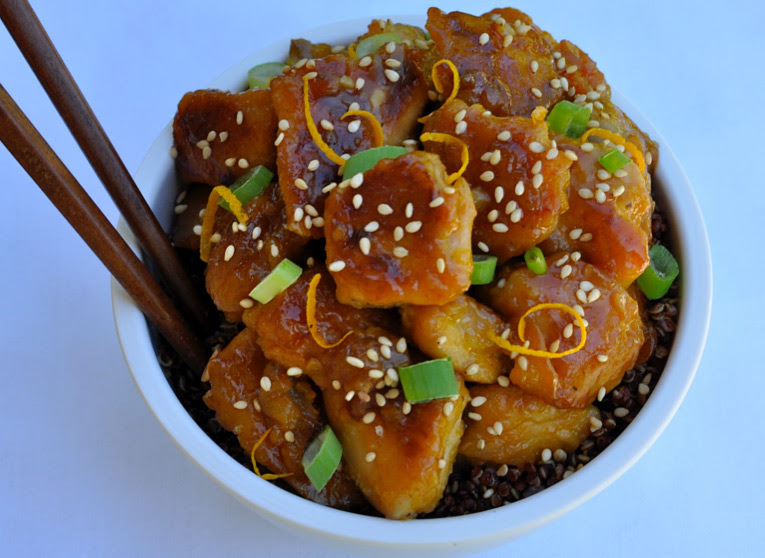 If you’re a fan of crispy orange chicken from Chinese take-out restaurants then you are going to simply love this healthier at-home version. While traditional orange chicken dishes taste great they are filled with gluten, sugar, soy and unhealthy fats that cause weight gain. Not a good thing when you are trying to get fit and healthy! This version is much healthier so you can enjoy the flavors you love without any of the guilt. This dish is really quick to throw together for a weeknight dinner and tastes so good you won’t believe it’s healthy. As a bonus you won’t get that big belly ache like with the take-out version. Enjoy!